Keep accurate financials, get bookkeeping help, work with experienced bookkeepers and certified ProAdvisors. 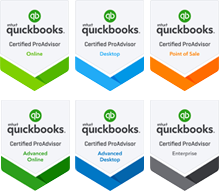 Integrate QuickBooks and key business processes using third party applications and custom tools. Learn how to use QuickBooks to its full potential as a cash-flow and management decision making tool.